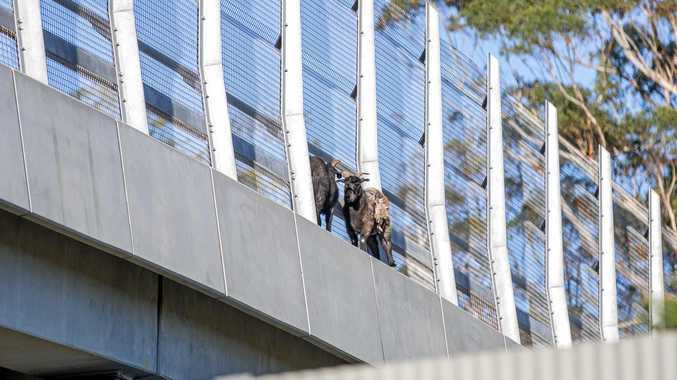 SBS presenter Lucy Zelic said it best: "That is just unbelievable." There were almost no words to describe the stunning scenes the world witnessed as Belgium pulled off the most remarkable comeback of the World Cup to break Japanese hearts in the final seconds of extra time. Down 2-0 after Japan's breathtaking ambush early in the second half, it looked like Belgium would become the latest victim in a tournament that's been full of upsets. Ranked 61st coming into the World Cup, Japan seemingly had no right to test the third-ranked Belgium, but it provided the mother of all scares. Nacer Chadli steers the ball home for Belgium’s winner. Facing a two-goal deficit, the favourites clawed one back when Japan failed to clear its line with 20 minutes remaining. Jan Vertonghen pulled off an astonishing - albeit probably accidental - long range header from an acute angle that somehow lobbed over the keeper and made it 2-1 with 20 minutes remaining. "Vertonghen was having a horrible match until he somehow conjured up the most fortunate goal you have ever seen in your life," SBS football analyst Craig Foster said. "He tried to head the ball back across and it got in the goal." Five minutes later it was substitute Marouane Fellaini's turn to lift Belgian spirits. After Eden Hazard turned his defender he whipped in a cross from the left and the big striker jumped above the pack to head home an equaliser and send the stadium into raptures. "Everybody around me in my commentary position is open-mouthed, shaking their heads and clapping hands," the commentator said. The craziness continued when Japan's shot-stopper Eiji Kawashima was forced to make two diving saves within a few seconds as Belgium stormed home in a desperate bid to find a winner. But Japan had its chances to regain the lead too as Belgium slacked off without the ball. Keisuke Honda's ambitious free kick from more than 35m out was a pearler and forced Thibaut Courtois into a brilliant save as he tipped the ball past the post. Japan pushed nearly all its players up for the resulting corner - an approach which came back to haunt it. Courtois swallowed the corner and set his teammates off on a counter-attack that a stretched Japanese defensive unit was unable to handle. Belgium moved up the field at pace and delivered a smart ball into the penalty area. Romelu Lukaku dummied and let it go by for an unmarked Nacer Chadli, who slotted the ball home from a few metres out with the last kick of the game to secure a 3-2 win for Belgium - and heartbreak for Japan. Japan coach Akira Nishino said: "I am devastated. Yes we took the lead but we couldn't win. It might have been a very small difference but I felt there was nothing in it. Maybe it was my decisions as a coach or my tactics, and we couldn't keep up with Belgium, who upped their game." It was the ultimate ecstasy after the most painful agony when Japan stunned everyone by scoring two quick goals after halftime. Belgium dominated the entire first half but the Blue Samurai drew first blood when Haraguchi took advantage of some sloppy work from Vertonghen. Japan won the ball in its own half and Haraguchi was fed the ball after starting a lung-busting run down the right touchline. He cut back inside, did enough to hold off his man, then slid the ball across Courtois to make it 1-0. Life got worse for the Europeans after 50 minutes when Vincent Kompany's clearing header only went as far as Shinji Kagawa on the edge of the box. He passed back to Takasha Inui, who drilled a thunderbolt into the back of the net from 25m out that Courtois could do nothing about to make it 2-0. 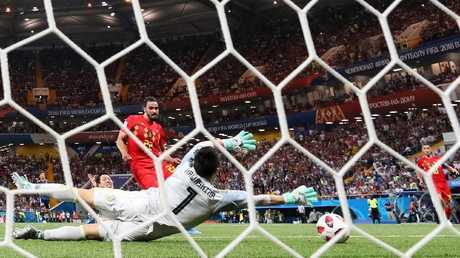 Lukaku wasted a golden opportunity to get a goal back when he failed to put his header from close range on target after an hour, but that didn't mater as Belgium became the first team to come back from 2-0 down in a World Cup knockout match since West Germany against England in 1970.